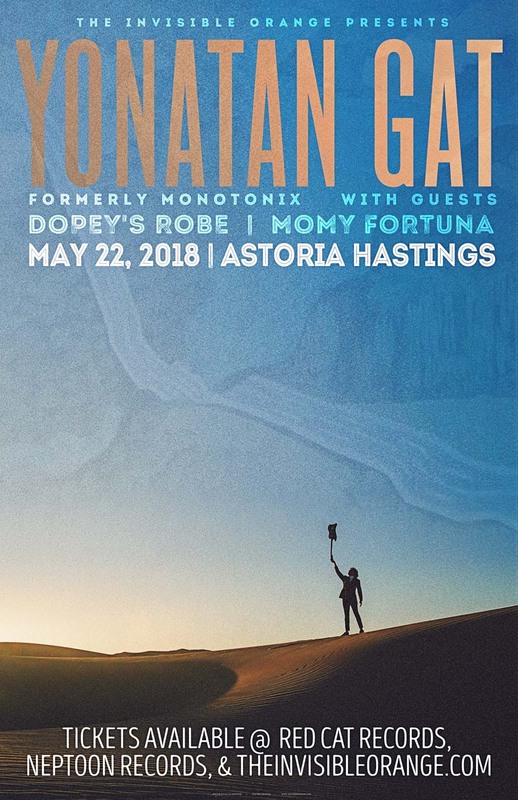 Yonatan Gat: Yonatan Gat is a guitarist, producer and composer based in NYC. His solo work was featured in the New York Times, Pitchfork, Vice, New Yorker and People Magazine. He was chosen “Best Guitarist in New York” by the Village Voice in 2013. His work transcends genre, operating between rock'n'roll, performance art and beyond category. He came to be known as one of the world's top performers as founder and guitarist of Monotonix, hailed by SPIN as "the most exciting live band in rock’n’roll” with concerts literally destroying the border between performer and audience, concerts that were controversial enough to get them banned from playing their home country of Israel, and 2010 saw Gat relocating to NYC, while continuing to tour the world tirelessly. In the last ten years Gat played 1,500 concerts in 50 countries and 5 continents. He began to record and perform as a solo artist in 2014, maintaining the raw energy he became known for while switching his focus away from the shock-performance style of Monotonix to a more ritualistic, improvised and shamanic musical exploration. His concerts remain sweaty, immersive interventions set in the center of the crowd, surrounded by a dancing, dazzled audience. SPIN referred to a these concerts as a "religious experience, a punk-grounded improvisational journey," adding "you’ve never seen anything like it before. Cults have been formed over less”.